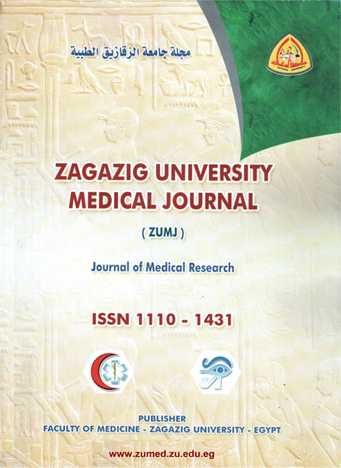 Orthopedic Department, Zagazig University Hospitals, Egypt. Background: Superior labrum anterior to posterior (SLAP) lesions are labral tears that extend anteriorly from the posterior superior labrum, involving the long head of the biceps tendon originating from the glenoid labrum, and stopping before the anterior glenoid notch. Accurate diagnosis of suspected SLAP tears is confirmed by arthroscopy. Progress in arthroscopic techniques had made it possible to achieve accurate and safe repair in selected patterns of injury. Recent outcomes studies have shown good functional results and an acceptable rate of return to activity with treatment of SLAP tears by arthroscopy. Aim of the work: The aim of this work is to evaluate the diagnosis, clinical outcome and management of superior labrum anterior to posterior (SLAP) lesions using arthroscopy. Patients and Methods: This is prospective study consisted of twenty denovo patients who had done arthroscopy for the treatment of isolated SLAP lesions between (2011) to (2014). Inclusion Criteria: Adult denovo patients aged from (20-55) years old. All patients provided written informed consent to share in the study. Patients diagnosed by: thorough clinical examination (history, clinical presentation and examination), radiological diagnosis (plain x-ray & MRI), SLAP lesions that did not respond to non surgical treatment, and lastly SLAP lesions either isolated or associated with other lesions (Bankart lesion & rotator cuff lesions). Exclusion Criteria: Patients’ refusal to share in the study, Frozen shoulder, Failed previous surgery to patient with SLAP lesion. Results: In our study there was significant difference regarding UCLA score between pre and post operative as in preoperative 100% UCLA score was <27 Fair/Poor not satisfied, while in postoperative 90% UCLA score was > 27 Good/Excellent was satisfied, and only 10% UCLA was < 27 Fair/Poor not satisfied. Conclusion: Treatment of SLAP lesions by arthroscopy is challenging and provides good functional outcome.